Crash test dummies representing an average-sized adult male and a small-sized adult female are placed in the driver and rear passenger seats (driver’s side), respectively, and are secured with seat belts. The side crash rating represents an intersection-type collision by having a 3,015 pound (1367kg) barrier moving at 38.5 mph (62km/h) into a standing vehicle. The moving barrier is covered with material that is crushable to replicate the front of a vehicle. 1 star is the lowest rating; 5 stars is the highest. More stars equal safer cars. 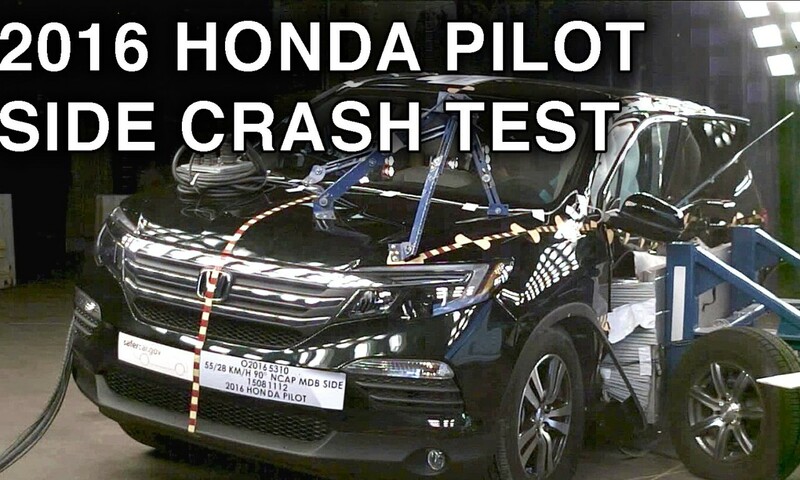 Posted On September 12, 2015 in Honda, Pilot with 0 Comments.Tagged: Crash Test, Honda, Honda (Automobile Make), Honda Pilot, Honda Pilot (Automobile Model), NHTSA.